Elevate your Eiffel Tower experience with a gourmet evening at the Eiffel Tower's restaurant, 58 Tour Eiffel. Don't waste your time lining up for Paris's most popular attraction, instead collect your skip-the-line ticket 15 minutes before your dinner reservation to head straight up to the first floor restaurant. 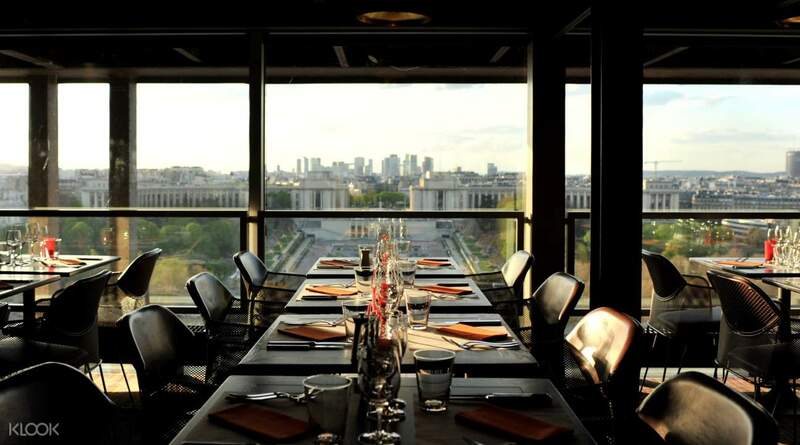 This glamorous venue offers chic and comtemporary surrounds and spectacular views across Paris. Serving up French cuisine in a traditional Parisian brasserie style, the team of talented chefs have curated the perfect seasonal menu. Fresh fish, poultry grilled to perfection, seasonal vegetables, delectable dessert with coffee, and your choice of French wines to complement your meal, in the most unique of settings. 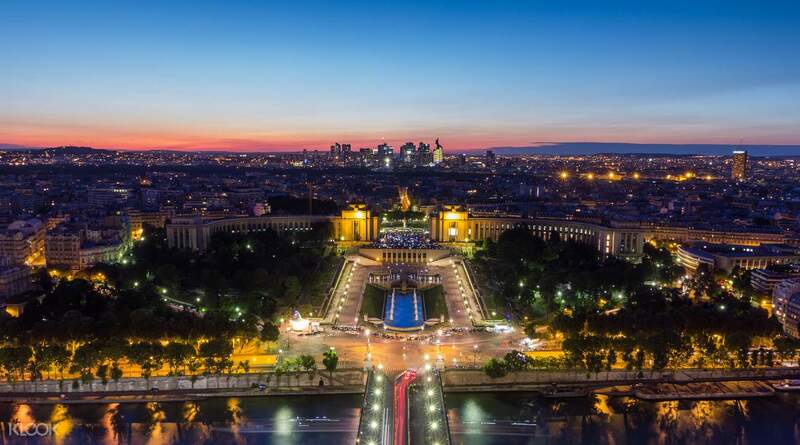 After your meal, spend some time soaking up the panoramic city views from the first and second floors and see if you can spot Paris' top monuments such as Montmartre and the Sacré Coeur, the Invalides, the Champ-de-Mars, the Champs Elysées and the Arc de Triomphe. The view is amazing ! And it was really nice that we don’t need to wait for the queue! However, the food is a bit few, i hope there’s more... but the red wine is really amazing !!! Love it !!! The view is amazing ! And it was really nice that we don’t need to wait for the queue! However, the food is a bit few, i hope there’s more... but the red wine is really amazing !!! Love it !!! We could access to the restaurant without joining the long queue. The service was great! The view was good! After that, we visited the souvenir shop only because you had to walk up the stairs only to the higher level. We could access to the restaurant without joining the long queue. The service was great! The view was good! After that, we visited the souvenir shop only because you had to walk up the stairs only to the higher level. The restaurant was beautiful with a priority pass in entering the Eiffel Tower was really great, because we could skip the line and saved a lot of time. The service was wonderful with great view from the window, we had a great time there. The restaurant was beautiful with a priority pass in entering the Eiffel Tower was really great, because we could skip the line and saved a lot of time. The service was wonderful with great view from the window, we had a great time there. The dinner experience was great, but the entrance we thought skipped the line inside but turns out we still have to queue with other people to get to the restaurant, and it was freezing cold. This could be improved. The dinner experience was great, but the entrance we thought skipped the line inside but turns out we still have to queue with other people to get to the restaurant, and it was freezing cold. This could be improved. Being allocated a seat close to window. Great experience. Good food, nice environment. With to come again. Being allocated a seat close to window. Great experience. Good food, nice environment. With to come again. The dinner was okay, it's more about the atmosphere and the view from the iconic landmark. The dinner was okay, it's more about the atmosphere and the view from the iconic landmark. Not as romantic as I expected when dining in this restaurant, in particular not taking the window seats. Not as romantic as I expected when dining in this restaurant, in particular not taking the window seats. We had a bad experience from the start as the instructions listed was incorrect. We were told to meet at the PARIScityVISION office but when we arrived, they told us we should have gone straight to the Eiffel Tower. This meant that we were going to be terribly late for our dinner reservation as it was about 20mins train ride and we still had to rush to the train station. 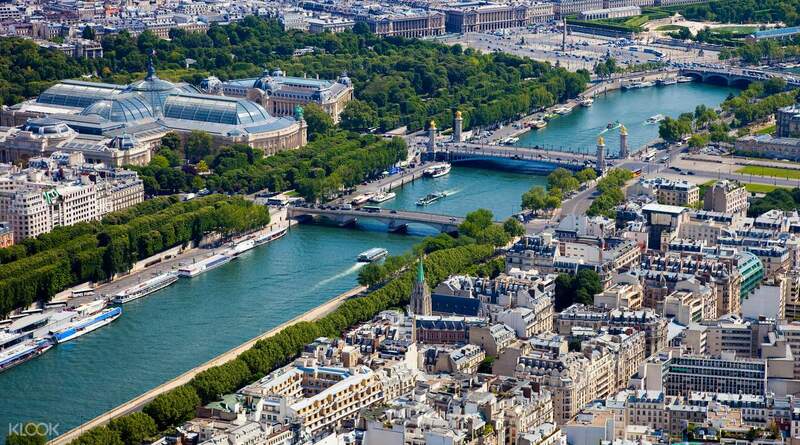 Paris is also not the most friendly of places - imagine the inconvenience! Trying to find the nearest train station and buying a train ticket etc. Upon reaching the station near the Eiffel Tower, it was also a good 10-15mins walk as there were many road crossings and people around. And the queue was also long despite us having “skip the line” tickets (note: there are security/bag checks at the entrance). Never mind that, we had to queue again for our dinner reservation. By the end of it, we didn’t have time for the cruise. Food at the restaurant was not as good as expected as well. We’re really disappointed and hope that Klook can compensate us for the inconvenience. We had a bad experience from the start as the instructions listed was incorrect. We were told to meet at the PARIScityVISION office but when we arrived, they told us we should have gone straight to the Eiffel Tower. This meant that we were going to be terribly late for our dinner reservation as it was about 20mins train ride and we still had to rush to the train station. Paris is also not the most friendly of places - imagine the inconvenience! Trying to find the nearest train station and buying a train ticket etc. Upon reaching the station near the Eiffel Tower, it was also a good 10-15mins walk as there were many road crossings and people around. And the queue was also long despite us having “skip the line” tickets (note: there are security/bag checks at the entrance). Never mind that, we had to queue again for our dinner reservation. By the end of it, we didn’t have time for the cruise. Food at the restaurant was not as good as expected as well. We’re really disappointed and hope that Klook can compensate us for the inconvenience. Thank you for choosing Klook and taking time to leave us with a review. Kindly be reminded that there would be detailed terms and conditions for each activity. 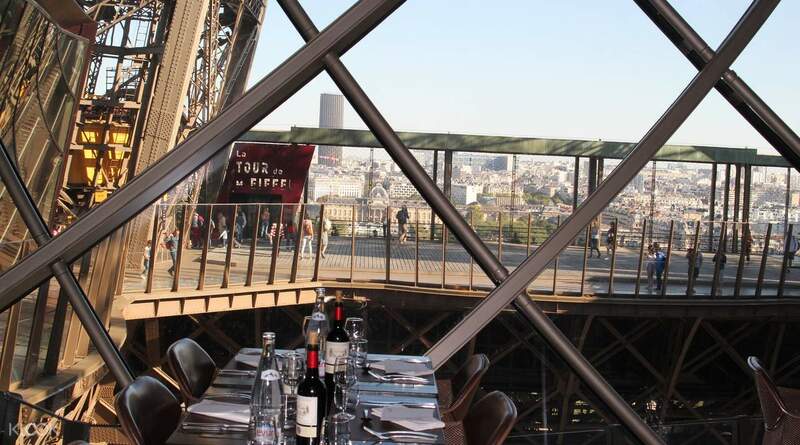 Please note that it has been stated on the website that due to security measures which are tightened around the Eiffel Tower, we recommend that you arrive at the foot of the Eiffel Tower at least 45 minutes before your meal reservation time. You must go to the checkpoint located on the Avenue Gustave Eiffel between the South and East pillars with the required documents, which will be indicated in the order confirmation email. We appreciate your kind understanding and cooperation. Thank you! Thank you for choosing Klook and taking time to leave us with a review. Kindly be reminded that there would be detailed terms and conditions for each activity. 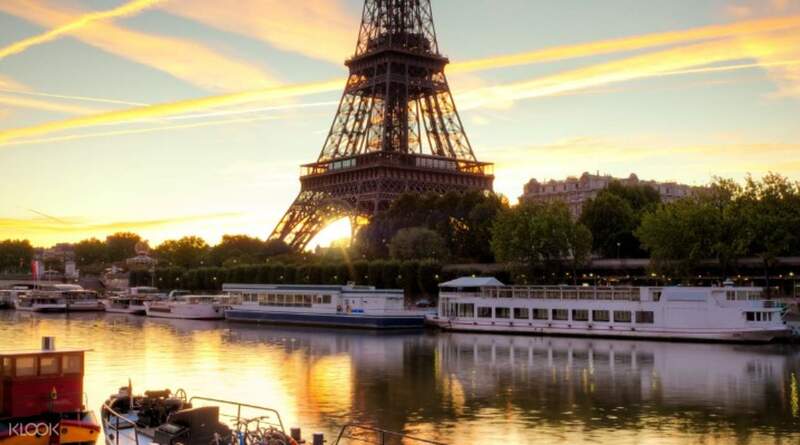 Please note that it has been stated on the website that due to security measures which are tightened around the Eiffel Tower, we recommend that you arrive at the foot of the Eiffel Tower at least 45 minutes before your meal reservation time. You must go to the checkpoint located on the Avenue Gustave Eiffel between the South and East pillars with the required documents, which will be indicated in the order confirmation email. We appreciate your kind understanding and cooperation. Thank you! The view was good if you could sit next to the windows. The view was good if you could sit next to the windows.